Whether it's a small private event, large corporate event, wedding, or anything in between, we have something to please every crowd. Not only do we prepare your food fresh to order, but we can also deliver to anywhere in the Middle Tennessee area, for just $1.00 per mile from our location. Our mission is to show God's love to those in need by giving back to the community and providing meals to families who need it the most. With each order you place, you are helping us make this happen...leading them to their own "land of milk and honey". If you don't have time to put dinner on the table, let us do the cooking for you. Order from our regular menu. Or, check out our Instagram Account for our ever-changing weekly seasonal menus. Feed 10 or even 100+ with these delicious platters. 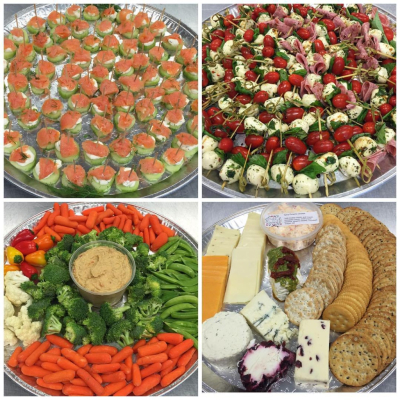 Each appetizer platter can be made to fit the needs of your event. 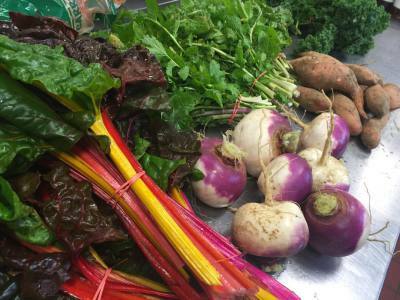 We are surrounded by local farms and each week's ToGo Menu is focused on using as many organic farm fresh ingredients as possible. 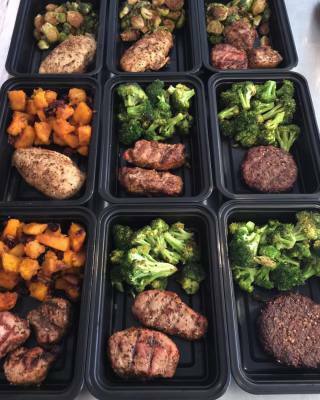 Whether you have a specific diet plan or just wanting something healthy and easy to pop in the oven/microwave, we can help. "Everyone at the New Years Eve Party Thought your Food Was KILLER!" "Fantastic locally sourced food, prepared by the best!"